TPC Textile is a direct supplier who controls the whole process from fabric production to goods shipping. TPC team is involved in every stage of sourcing and developing fabrics and trims, sample making and quality control, to shipping out goods and arranging all required documents. 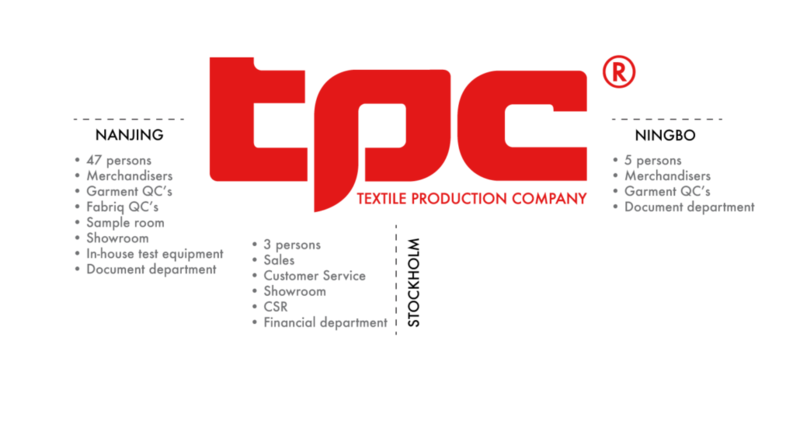 Our company name “TPC” = Textile Production Company tells a lot of what we do. Since our team handles the sourcing and purchasing of all material and trims, we are in charge of the fabrics and trims quality. We have our own in-house laboratory and we do in-house fabric testing including color reading before sending it to our clients for approval. The main reason for this operation way is that we control the fabric/trim cost and we control the quality. This makes our clients more safe. Move the mouse over the hot spots for more information.